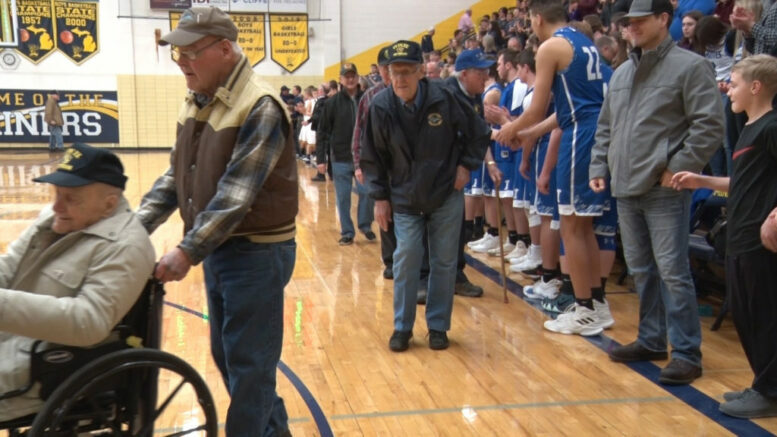 NEGAUNEE — On Friday evening, a veteran’s appreciation ceremony was held at Lakeview Elementary School. All veterans were invited to attend the ceremony that celebrated and thanked the members for their service. The Negaunee pep band played the armed forces song for the service members to walk in to. Aside from honoring the veterans, a chair was presented to honor those who are missing in action and whose remains have never been recovered. Negaunee Public Schools Superintendent, Dan Skewis, was excited to see that so many veterans come out to be honored and so many people there for the event as well.